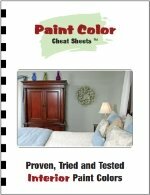 Choosing interior paint colors can take a long time, but not if you use the "Paint color cheet sheets". 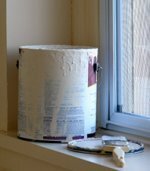 It's one of the safest and easiest resources for this job, saving you time and preventing the cost and misery of wrong paint colors on your walls or woodwork. The "Paint color cheat sheets" are basically the source colors of a veteran in interior painting design: colors that can be combined at will, provided with information about the primer and lighting conditions they need. 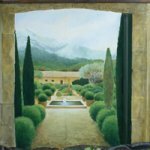 It was created by Yelena Kublitzky, a color consultant and co-owner of a painting company. She made over a thousand interior painting designs, and in time she noticed there were colors she used over and over again: they just proved to work well. This stock of colors are in the Cheat sheets: ninety paint colors of all color groups, that will give good results. There are thousands of paint colors - so much, that the right ones go lost in them.Some are only good for small accents or artificial light, and others were just added to make the fan deck look better. Good colors are the ones with the right tonality and undertones. And looking at a fan deck, you really need experience to pick out the good ones... But Yelena found out which colors always look good within specific lighting conditions. The colors Yelena provides are all accompanied with information on what lighting situation they're good for, which other colors they can be combined with, and what primer they need. 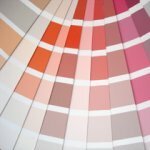 Check here to find the Paint color cheat sheets. 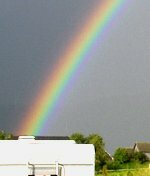 A paint color really is composed from different pigments and colors. It has an 'undertone', another color that seems to shine through, or that seems to be added like kind of flavouring. Undertones make a color lively and nice to have around. That is - if it's the right undertone... Undertones can be wrong too, on themselves (just too cold or dirty), or wrong in relation to other elements of your color scheme - your carpentry, furniture etc. The paint color cheat sheets have filtered out colors with wrong undertones, and gives tips on what undertones to choose, should a paint color not fit to your couch or tapestry. New furniture can look dirty or muddy, when combined with the wrong paint colors - and brighten up with the right background colors. Usually, safe paint colors are quite boring as well (beige, white...). But good bold colors are hard to find - and the wrong ones make you regret your job not long after you painted them. In the cheat sheets you'll find a full range of colors, that are safe and pleasant to look at for a longer time span. Good colors sustain your life on a basic, vegetative level. That's not the most interesting aspect of life, and this is why choosing interior paint colors is so difficult. Strong or interesting colors often are interesting because they take you out of your physical safe zone, they give you a punch. But home is not the place where you want to be punched... your colors should sustain your life! Browsing around, I saw that good interior design, no matter how hip, average, modern or classical, is defined by its natural colors. This is what the cheat sheets offer: human, natural paint colors that are good for any interior design. It's just like cooking: a leek can be in a hundred different recipes, but one thing is sure: it needs to be a fresh, good leek. A good paint color is like that. There's not much text in the cheat sheets. 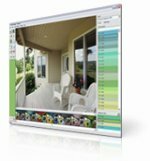 But the information is highly valuable: paint colors that have proven themselves over the years, in real life. 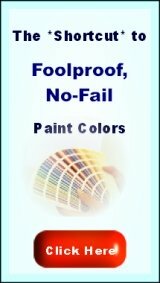 It does contain links to informative webpages, and other useful info on how to apply the paint colors. It also contains special paint color lists for kids' rooms, front doors and the nursery. The paint color cheat sheets save you a lot of time, and most important: costly mistakes and frustration. 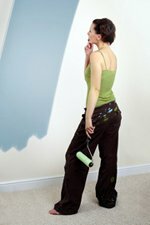 Imagine to look at your new painted room, and find it just wrong or ugly... the cheat sheets can tell you what to do in a situation like that. Or better: prevent situations like that. Ordering the cheat sheets is safe, because you can get a full refund if you don't like it. Here's the order page of the Cheat Sheets, along with customer reviews of this product. Look at the list of related pages on the bottom of this page, to find more links within this website.